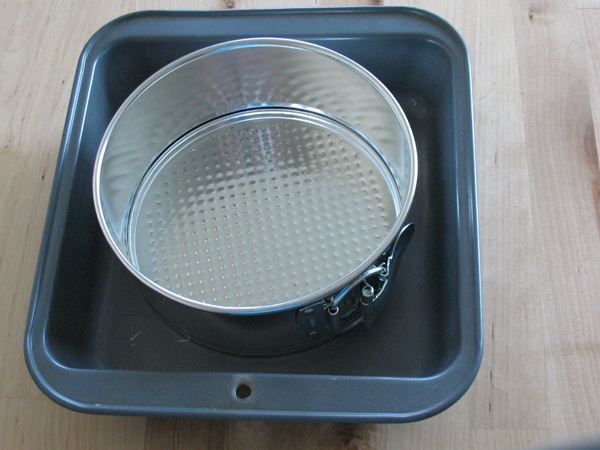 A water bath – also known by the terms bain marie or bagno maria – is a method of heating or cooling a dish, gradually. The purpose of doing this is to allow the dessert to be either chilled or heated slowly, to prevent the ingredients from reacting in an undesired manner. 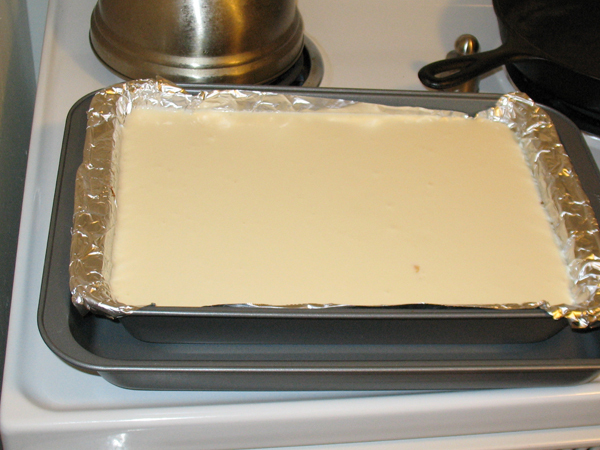 In this example the smaller pan holds the cheesecake, and the larger pan holds the hot water. 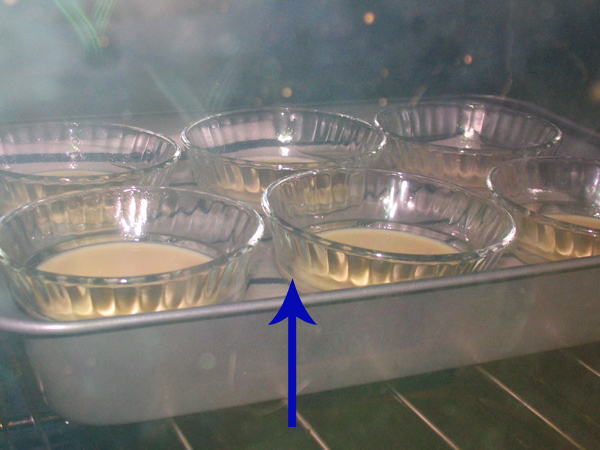 While it bakes in the oven, the hot water prevents a “dry oven” from cracking the cheesecake. There are professional kitchen machines which create water baths, but you can easily make one for free with the pots and pans you already have. I’ll show you a few different examples, and then explain how to use them. For a hot bath, the water should be near to boiling, so just let it boil, then turn to simmer until you need it. 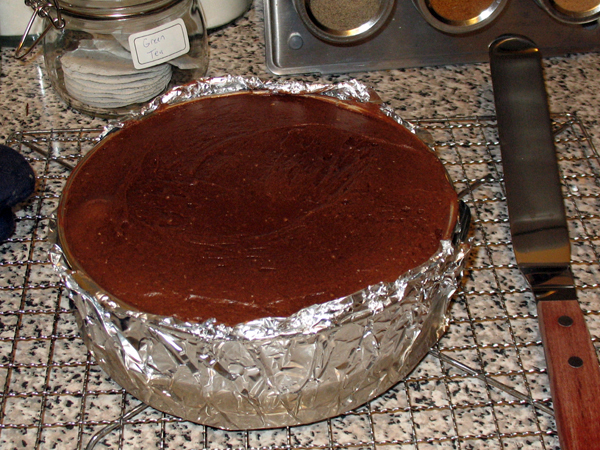 Generally the water needs to come about halfway up the side of the smaller pan. I didn’t use enough in that cheesecake. When you’re preparing custards in individual ramequins, it’s a little different. 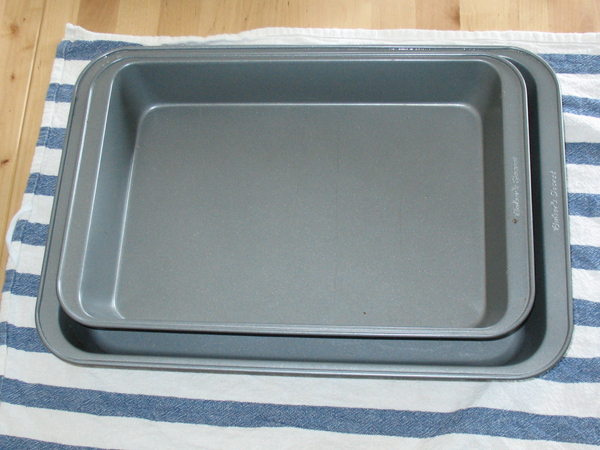 Line the pan with a dish towel will prevent the ramequins from slipping around. See how the water comes about halfway up the sides of the ramequins? Don’t go higher, or the hot water will spit and jump above the ramequin tops, and enter the custard. Yikes! 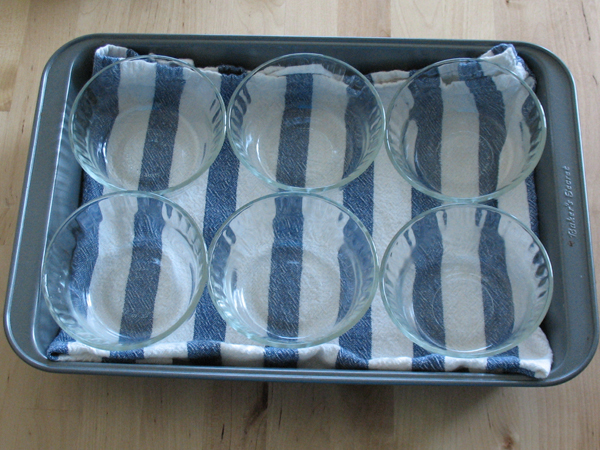 A cold water bath is used to stop a dish from cooking after it’s been removed from heat. 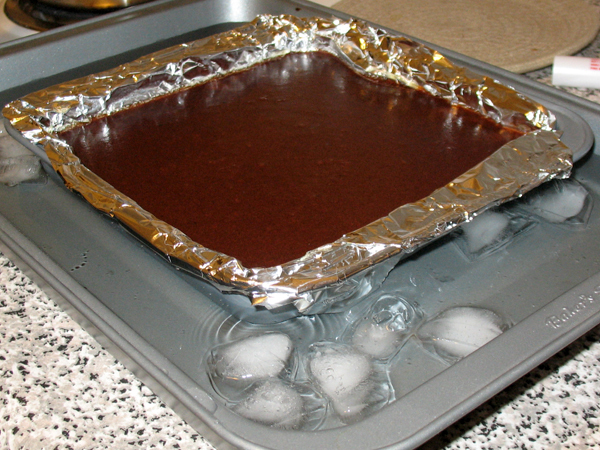 Cold baths are used for ganache, and in this example for chocolate caramels. 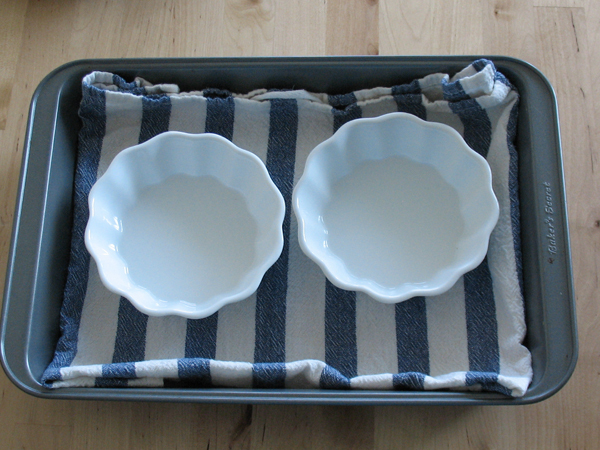 Place the hot dish inside a larger dish that is filled with cold water and ice. This will cool it quickly. The Wikipedia entry on water baths is fairly interesting too if you’re looking for more information and examples of professional water baths.